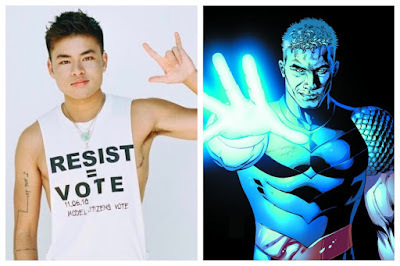 WATCH [CC] - Deaf transgender actor Chella Man talks being cast in 'Titans' as Jericho for DC universe series. LOS ANGELES -- DC’s “Titans” has found its Jericho. Deaf activist, artist and model Chella Man, who’s transgender, has been cast in the role, portraying the mute superhero who uses sign language to communicate with his teammates. “Take it from a Deaf queer, Jewish person of color who has always dreamed of being a superhero and has now been granted that exact opportunity,” he said. Why Don't Deaf People Believe In Bisexuality?